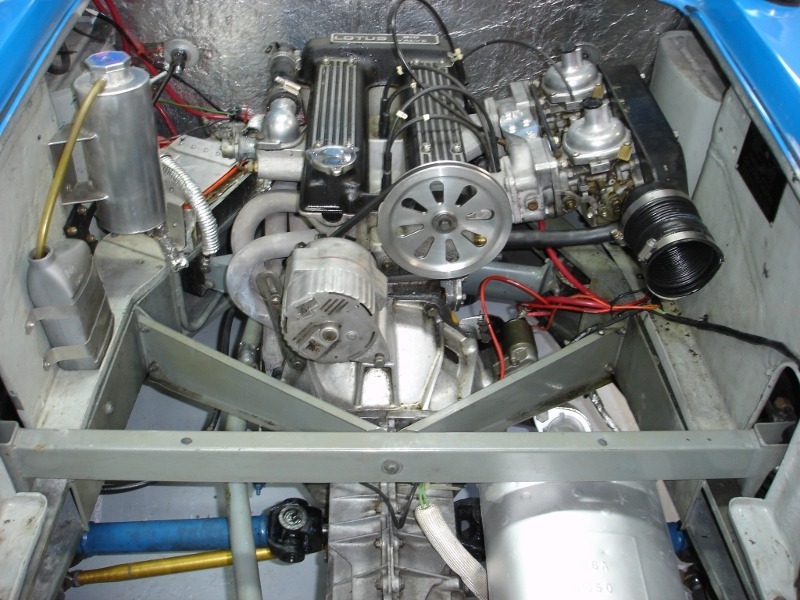 Notice the very nice aluminum alternator drive. Much lighter than stock. You can see the Odyssey PC680 battery (the red under its holddown cover, left front of the engine compartment.